MediaCheck is a family of print inspection or print verification systems. Our products compare digitally PDF files and scanned images against PDF reference files. Using a pixel-based comparison at high resolutions, the system is able to detect even the smallest deviations (spots, font changes, …). We focus on providing our customers with the most accurate control with the minimal effort necessary. The system is highly configurable and adaptable to the needs and workflows in each company as well as easily scalable to the throughput you need. The user interface is easy and quick to use. See the main steps of checking here. Modules for Braille decoding, comparison and measurement as well as the processing of booklets as multi-page PDF files complement the MediaCheck software. 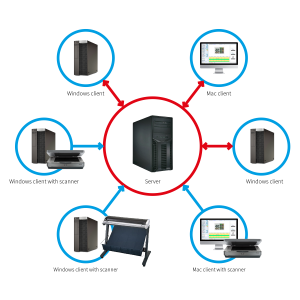 All versions of MediaCheck allow the comparison of multiple ups (multiple copies of the same reference and / or different references). The references are automatically located, rotated and identified. No need to specify the location or rotation of a reference. 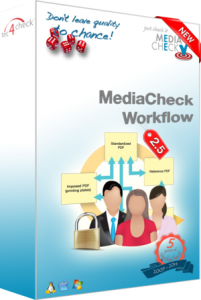 MediaCheck Medium is a print inspection tool on a single computer to use the advantages of job processing on a single machine. Our “middle” solution allows you to work on the system, while another job is processing. Jobs are stored, so that you can go back to earlier results or add later more samples to existing jobs. The software remains fully available during a checking process. All versions of MediaCheck allow the comparison of multiple ups (multiple copies of the dame reference and/or different references). The references are automatically located, rotated and identified. No need to specify the location or rotation of a reference. Our systems provide our customers with a modern and efficient print inspection offering a high degree of accuracy with minimal effort. The new, and so far unique, implementation as a client-server architecture allows a flexible integration and easy adaption to existing conditions and work processes. A crucial question yet easy to answer when looking at the advantages compared to a single-user solution. The simple and flexible integration into existing workflows to rapidly respond to market changes and market requirements and to optimize work processes smoothly deserves special attention. But there are other advantages to using a client-server architecture and reward a modern system. Use the number one when it comes to PDF. With the implementation and integration of the latest Adobe library, we offer the widest compatibility in PDF-interpretation. Through intelligent data handling and specially developed algorithms various actions can be automated, such as determining the inspection area using a color separation or a layer. Especially in PDF file comparison this can achieve significant improvements. Traceability, transparency and repeatability of the inspection results is very important to us, therefore all changes / adjustments can be observed in the preview windows. Thus, a good overview is guaranteed in every situation and provides the proper support even when adjusting inspection content, for example when hiding unwanted elements on a layer or color separation. Documentation and manual but please up-to-date, self-evident for MediaCheck. The documentation supplied includes the installation qualification, our system check (OQ), the system check compliance with FDA CFR Part 11 as well as the manual and everything even as iBooks with interactive content. In this respect we offer our customers more and provide small, easy to understand tutorial videos on all aspects of our software. As a printing company, you want to give your customers the highest possible quality. 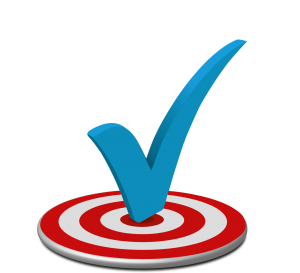 To make sure that all your efforts are effective, you use Media Check to identify deviations during the complete process. MediaCheck enables you to compare the first and the last print sheet with the approved PDF from the customer, this is print inspection! In the prepress, the production PDF can be compared with the reference PDF. The quality control happens at the point where deviations occur. Time as well as costs can be saved. The quality and its assurance will be increased. You can demonstrate documented quality control to your customer. The system can easily be scaled and adjusted to the according needs, supporting your complete workflow. As a producer of pharmaceutical goods, you are used to check your goods thoroughly. This is also true for everything that you receive from your partners. MediaCheck allows the quality control of delivered packaging goods by scanning and comparing them with a PDF file. The system leads you as the user from one deviation to the next. Then you evaluate and comment the deviations. The following result report can be saved as a PDF or printed out. The fast and reliable detection of deviations saves time as well as costs. Folding boxes, package inserts, labels and many other packaging goods can be checked easily in a short time requiring only little manpower. Our experience with regulated industries helps you to introduce computer-assisted checking of printed goods with the necessary documentation.